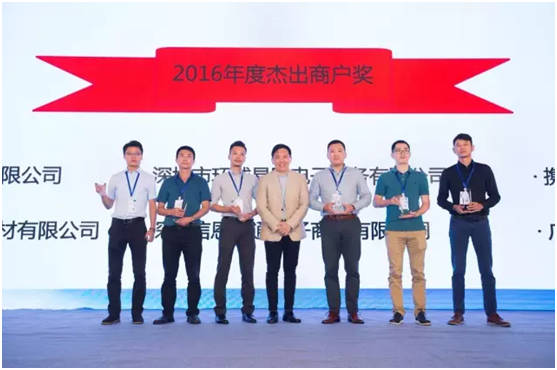 On September 7th, PayPal China cross-border e-commerce conference 2016 was officially held in Guangzhou, China. CNstorm Co.,Ltd (PS: ChinaDivision is a famous B2B brand of CNstorm. 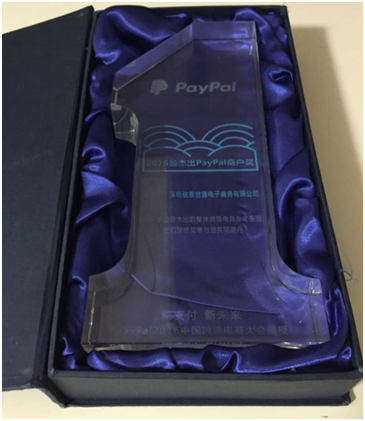 Co.,Ltd) was awarded the PayPal Outstanding Business 2016 by strong performance, together with the other five well-known Chinese enterprises such as Ctrip and Globalegrow. 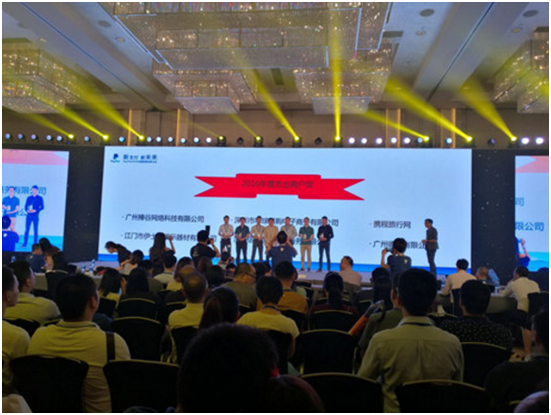 At 3PM during the meeting, PayPal announced the shortlist of six Outstanding Business of 2016 in China, including Banggood Network Co.,Ltd, ShenZhen Globalegrow E-Commerce Co., Ltd, Ctrip, CNstorm. Co.,Ltd and the other two enterprises. As a famous B2B brand of CNstorm and a China-based expert provider in logistics and order fulfillment solutions for cross-border e-commerce, ChinaDivision has achieved a great success and obtained approval of PayPal by meticulous services and strong performance. 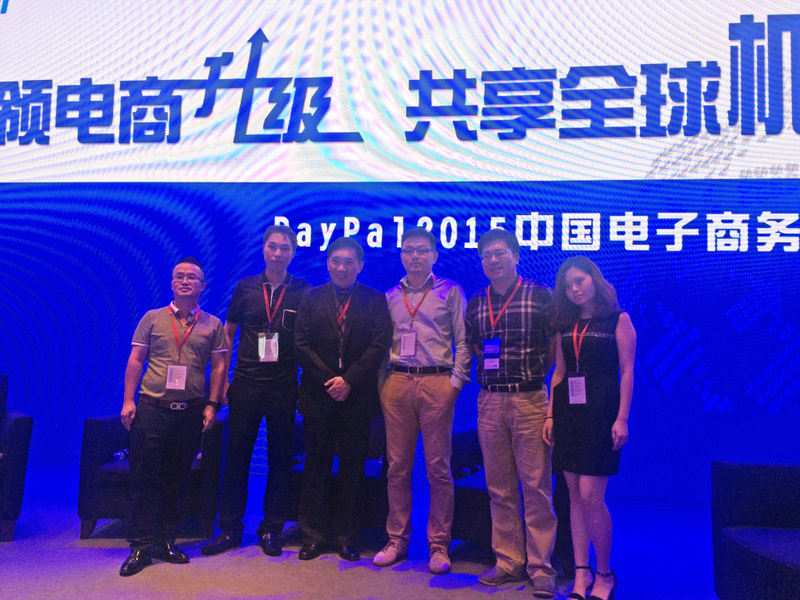 In the spirit of safe and convenient payment, CNstorm (ChinaDivision)has maintained a close relationship with PayPal since its establishment. 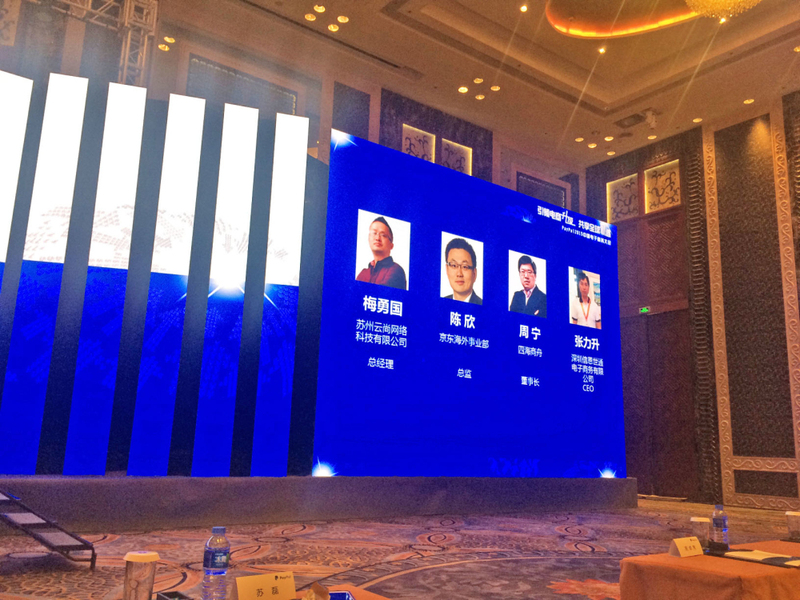 One year ago, in the e-commerce meeting of PayPal 2015, ChinaDivision CEO Ethan Chang was invited to attend the round table as one of the VIP guests. In addition, PayPal senior leader Vince Lee visits ChinaDivison several times to deeply discuss the future of cross-boarder e-commerce and the problems incur during international payment. In the near future, there will be both opportunities and challenges, and ChinaDivision is ready to embrace another brilliance. 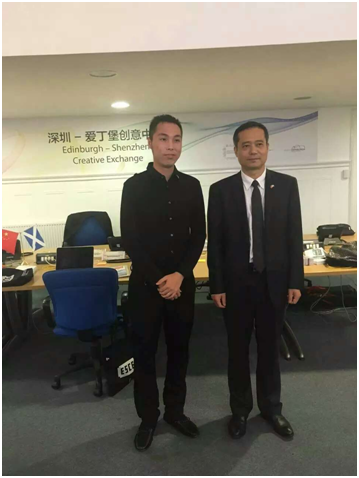 Edinburgh-Shenzhen Creative Exchange (ESCE) is a creative exchange program implemented on the basis of cooperation between municipal governments of Shenzhen and Scotland. It is aimed to enhanced cultural collaboration and increased exchanges between both nations. On September 7, 2016, Edinburgh center embraced for its first anniversary. (cross-border e-commerce) The project team of ESCE (Shenzhen Center) arrived at Britain successively to hold a series of industrial activities at the Edinburgh Center. Senior leaders of ChinaDivision attended the anniversary along with the delegation led by Mayor Xu Qin and Yao Ren. Besides, ChinaDivision also assisted with the exhibit transportation to Scotland. During September 5 to September 15, senior leaders of ChinaDivision also visited London, Edinburgh, Oxford, Cambridge and York with the delegation led by Xu Qin and Yao Ren. They not only had a knowledge of British culture and technology innovation, but also paid a visit to British senior government officials, business elites and top university professors. It was a great honor for ChinaDivision to meet elites in different areas and share their perspectives of the global e-commerce. (cross-border e-commerce) ChinaDivision will spare no efforts to meet the upcoming opportunities and challenges. Headquarter of ChinaDivision is located at F518 Idea Land of Shenzhen, which is also called the Edinburgh-Shenzhen Creative Exchange (ESCE). 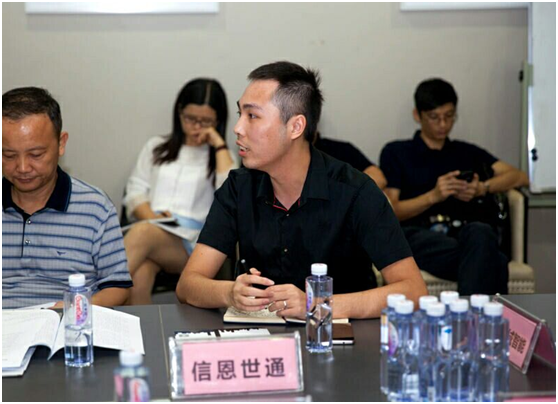 On the morning of August 24th, Mayor of Bao’ an district Yao Ren led the related officials to visit the ESCE, aiming to listen to appeals of enterprises and solve their problems during development. 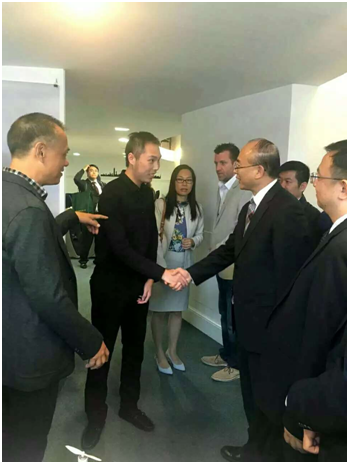 Ethan, CEO of ChinaDivision was invited to attend the meeting. Edinburgh-Shenzhen Creative Exchange (ESCE) is the first creative incubator run by the business mode of Shenzhen-Foreign cooperation, Government Leading, Enterprise Investment, Marketable Operation and Professional Team Management. 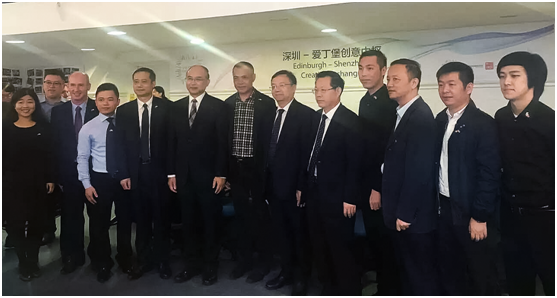 It is a creative exchange program implemented in Shenzhen on the basis of cooperation between municipal governments of Shenzhen and Scotland. ESCE Shenzhen Center is the incubator in Shenzhen to tap into and invest in creative business to raise their international profile. CNstorm Co.,Ltd which is dedicated to sourcing and shipping products to overseas Chinese globally, has obtained the Angel Investment by Shenzhen Creative Investment Group in 2014. 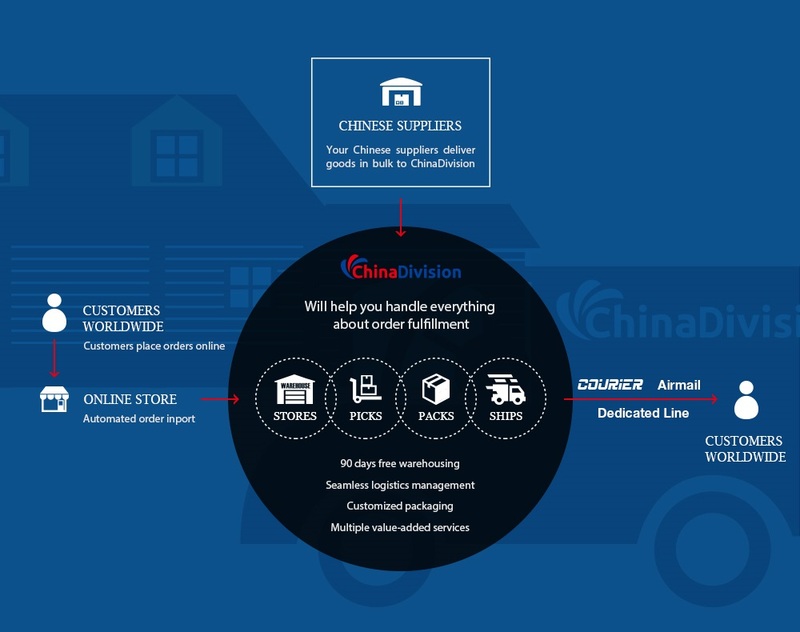 As a B2B brand of CNstorm, ChinaDivision again creates a new business model to play the role as a full service order fulfillment provider for e-commerce online sellers and crowdfunding creators from Kickstarter and Indiegogo. During the meeting, Yao Ren Promised to provide enterprises in ESCE with high standard services in accordance with international incubator. It was reported that both Edinburgh and Shenzhen center will build a public service platform including basic public services, cross-border eCommerce platform, innovative technology platform etc. in five years. ChinaDivision is proud to be one of the members of ESCE. CEO Ethan exchanged his ideas with mayor Yao Ren and expressed his gratitude to the government. In order to realize a seamless cooperation with British enterprises, Ethan is going to take part in the UK business trip which is organized by ESCE in September 2016. September 17th, the online payment leader PayPal held the fourth annual Cross-Border e-commerce Conference in Shenzhen, China, bring together more than 800 large and small sized foreign trade companies, government representatives and industry expert to explore the new market of global cross-border E-Commerce trends, new opportunities, and jointly promote the growth of China’s Cross-border E-Commerce sector. PayPal launched the conference “PayPal Biz+” innovative solutions, aimed at B2B2C (supplier companies → foreign companies → overseas consumers) potential export model, leading E-Commerce supplier upgrades, sharing global opportunities. Cross-Border E-Commerce business presents three major trends: mobile, social and vertical. “breakthrough” has become a hot word in the field of mobile E-commerce. 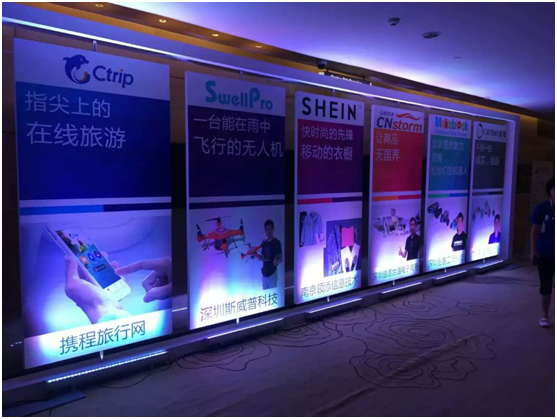 As to E-Commerce companies, they notice mobile E-Commerce is the trend of future, so does ChinaDivision. Ethan Chang highlighted 4 key characteristic of mobile shopping: First, the consumers’ shopping habit has changed and recommendation is the king; The second is that the consumers use fragmented time to browse, and easy to make a purchase; the third is vertical integration, vertical platforms are easier to win customers. So we mainly share products on mobile, pushing attractive products to the home page. In western business theory there is a famous saying: Numbers never lie, – we found that the growth of mobile orders have not grew in the same pace with users and revenue form mobile devices, conversion rate on mobile is still lower compare to PC. Users’ feedbacks gave us a very important message, “Mobile devices make it possible to check orders and shipping status anytime, anywhere. But speaking of placing orders, I prefer PC. Because it is easy to do it on computer, the screen is larger, I see the products more comfortable. ” So we think mobile can’t replace PC in the short term, But mobile ecommerce is really a primary growth factor for cross-border E-Commerce. Establish the integrity mechanism, increase industry subsidies, help cross-border corporate in financing, establish the FTA, reduce tariffs and simplify the approval workflow and so on. These policies has reduced the cost of cross-border goods, accelerated flow of goods, on the other hand, as the country’s policies encourage companies to target overseas markets which is indeed a reassurance to them. 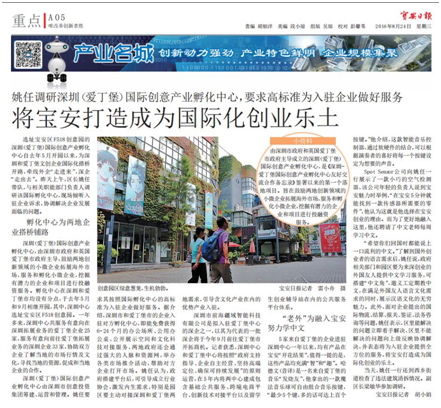 ChinaDivison welcome these policies, because they would ease the pressure on cross-border E-Commerce industry. We like this saying: fall in love with government, but do not marry the government. Because enterprises’ development more rely on their own. Based on our experience of cross-border B2B platform ChinaDivision, we think completive edge of cross-border E-Commerce companies mainly lies in the low labor cost and information asymmetry. But with the rise in labor costs, fiercer and fiercer competition, Branding will become a trend in the future export E-Commerce. Import E-Commerce has huge potential. Chinese government encourages its development; E-Commerce Export market is very large, national policy encourages it. If you want to make best use of national policy, the cross-border corporate business of import and export need to develop together. 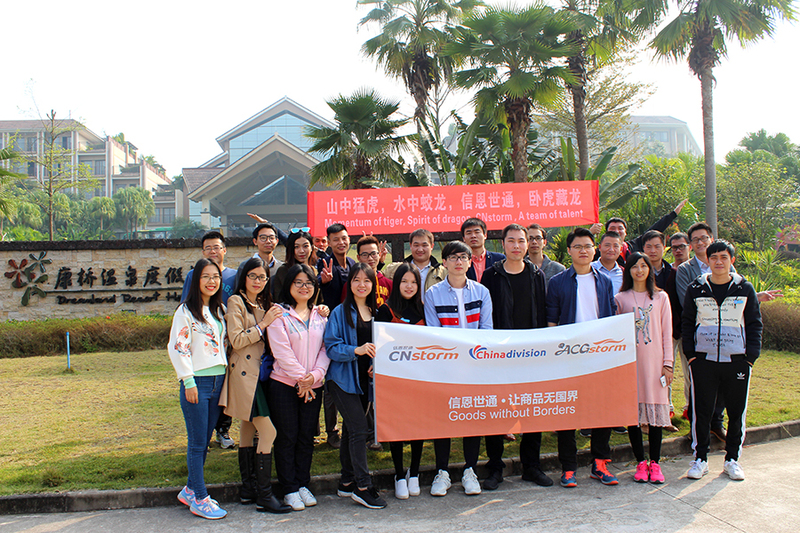 So we launched our B2B business ChinaDivision in order to help cross-border E-commerce companies to build their brand by providing exc fulfillment service. When the RMB appreciates, import business has absolute advantages, while devaluation happens, exports do have a great advantage. Facing exchange rate, after five years we may not see any business only do export or , or import. Those who survive in the cross-border E-commerce are the ones do both export and import. In two cross-border E-Commerce dispatch model, “first trip, overseas warehouse” model will be greatly affected by the exchange rate, because of the need to store goods in large amount, “Foreign Direct Mail” model can stay calm. It mainly involve non-standard products based, consumers are less sensitive to price, and more likely to compare overseas direct mail price with the domestic counter. Overseas direct mail operation is also more flexible, exchange rate effect can quickly be reflected in commodity prices, but has little effect on the purchase. So overall, changes in exchange rates hardly impact overseas direct mail. As long as the appropriate increase in foreign exchange reserves, targeted use of financial products to hedge the exchange rate, so that to reduce the affect of exchange rate to a minimum. If 2014 is the first year of cross-border import E-Commerce, then with the sharp depreciation of the RMB and introduction of the policy on cross-border export ECommerce,then 2016 is expected to become China’s first year of cross-border export E-Commerce. ChinaDivision was invited as guest speakers of the conference. 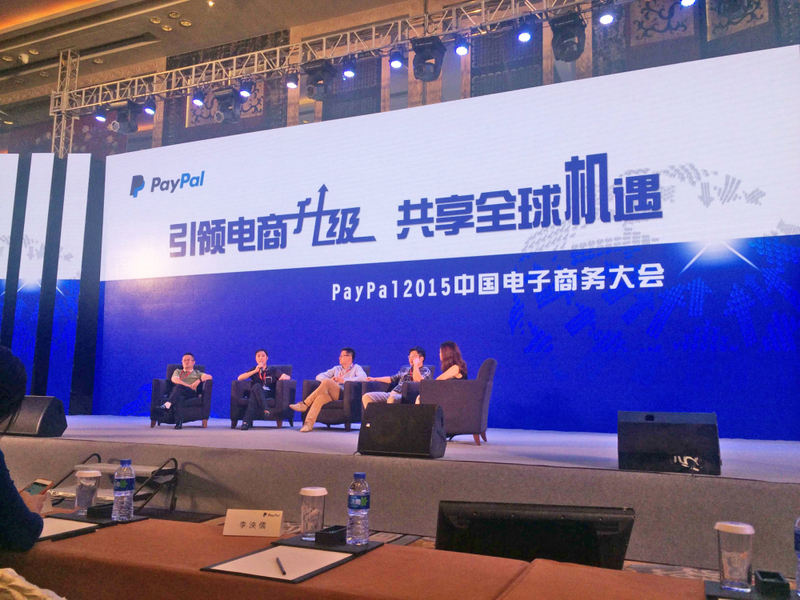 It is the reflection of long-term close cooperation between Paypal and ChinaDivision, as well as PayPal’s affirmation to ChinaDivision’s achievements. In July, China Southern Region Leader of PayPal Sean had visited the headquarters of ChinaDivision. ChinaDivision’s efforts and achievements are much appreciated by Paypal on constantly optimize and improve the user’s payment process, refund experience and so on. ChinaDivision will continue cooperate with PayPal, Alipay and other big names, hoping to better serve our customers, and lay a solid foundation for global branding.